Record Breaking Reading at RBKC Libraries! Since its launch earlier this summer, nearly 900 children have joined this year’s Summer Reading Challenge “Record Breakers” – so far! More than 300 young people have completed the challenge already, by reading 6 books and collecting stickers and other rewards along the way. Kensal Library has been especially busy with over a quarter more children joining than last year, but not a busy as Notting Hill Gate Library, which has seen the number of children joining doubling since last year and more of these children have completed the challenge than they did over the whole of the summer last year! It’s not too late for you to sign up to the Challenge and there is still plenty of time to read the six books – and get your medal for finishing the challenge. What a good way to finish the summer! We’ve added some pictures above, highlighting all the record-breaking fun we’ve had over the summer. Join the Record Breakers Summer Reading Challenge! Schools have well and truly broken up for the summer and several more weeks of long holiday lie ahead… what will your children be doing? 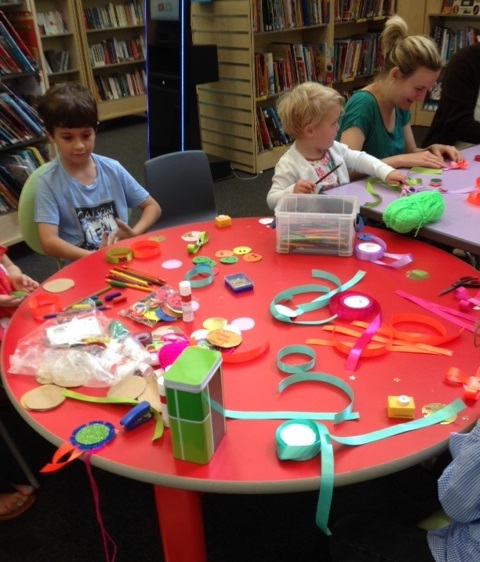 Visit your local library this summer to see all the events and activities for children which are on offer. There are events on throughout the holidays, so there is lots to choose from! If your children like a Challenge, why not bring them to join this year’s Record Breakers? All they need to do is read 6 library books over the holidays, and they’ll receive stickers and rewards for telling us about them. It’s free to join, just visit your nearest library to sign up – all that’s needed is a library card. There’s a medal for everyone who reads 6 books! What weird, wonderful or wacky records will you and your kids discover?